Walmart has rolled out its Walmart Pay system to all its U.S. stores following a several-month long trial. 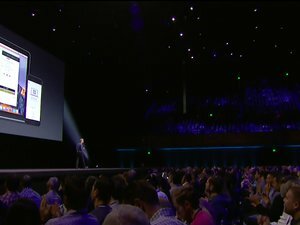 The payment option is built into its existing iOS and Android apps, and allows enrolling all major credit and debit cards, gift cards, and prepaid cards, but it notably doesn’t link to checking accounts directly. I tested out the service, and while it’s no Apple Pay (nor Android Pay), with the ease of tap-and-confirm, the feature is easy to set up and has very little friction to use. The app requires you to scan a 2D code that appears on the POS display. 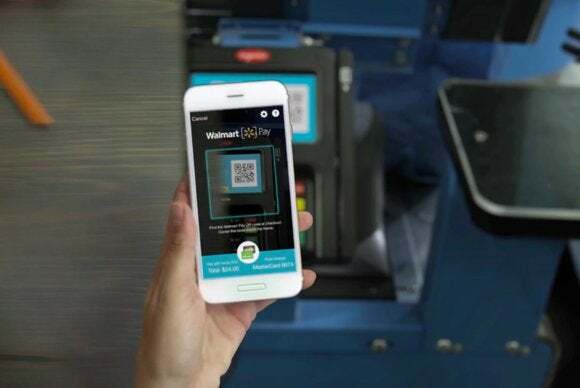 Walmart is a member of the Merchant Consumer Exchange (MCX) consortium, which spent years developing the awkward CurrentC system, which was effectively shut down in June. CurrentC was the dream of retailers before the rapid rise of NFC-based mobile payment offerings, like Apple Pay and Android Pay, and an attempt by those companies to reduce their payment-network transaction fees. Many members, like Target and Best Buy, gave in and accepted or will soon accept mobile payments, but Walmart held out. Because CurrentC was created to benefit the retailers, the focus was on getting customer to link a checking account, and then processing charges as automatic clearinghouse (ACH) transactions. ACH offers substantially less consumer protection than credit-card and debit-card transactions, even when a debit card is linked directly to a checking account, but it has a much lower fee for processing. CurrentC also supported merchant-linked debit, credit, and gift cards, as those companies could recover more fees directly. Third, I’ve been ridiculing CurrentC for a long while, in part because of the process, and in part because of customers needing to trust retailers with checking account information after the continuous breaches in merchants’ IT systems that exposed debit- and credit-card details. Checking accounts are even more vulnerable. And MCX itself had an embarrassing security breach in October 2014. 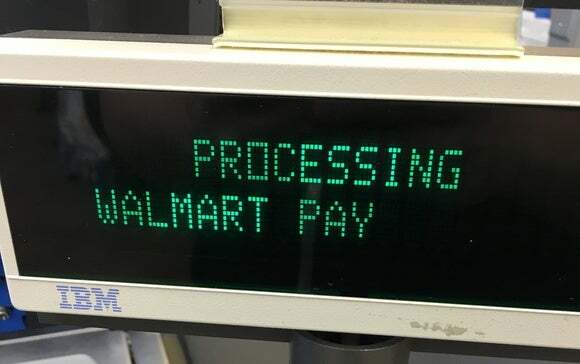 The POS terminal advertises Walmart Pay and shows the code whether you’ve asked to use it or not, as a way to get customers used to it. Both systems still rely on a QR Code as the glue between the point-of-sale (POS) system and the back-end payment network linked via the app: you use a 2D code to make that linkage. However, CurrentC had to accommodate many different POS systems, so a customer might have to scan a code or present a code on their phone to be scanned or, if that failed, might have to enter a number. However, because Walmart designed and controls the entire experience, nothing seems as clunky as CurrentC—it’s consistent and streamlined. And Walmart Pay is ecumenical, accepting as many methods of payment as an in-store or online purchase. Finally, because it’s part of the Walmart apps, regular shoppers don’t need to install anything else to make use of it. In the Walmart app, after setting up an account if you don’t have one already, you can tap the Walmart Pay item, which is near the bottom of the home screen. 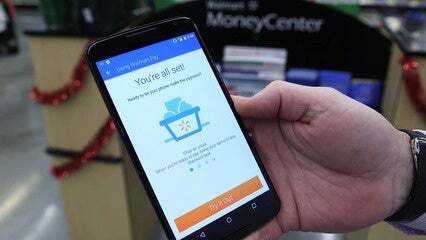 After agreeing you want to use Walmart Pay, the setup process already shows any credit cards you had registered with Walmart’s online store, as the app can be used both for online shopping and in-store payment. Adding cards is a bit annoying, because the app can’t scan a card to recognize its number and expiration date; it would be nice if they added that, but it’s a one-time or rare entry issue. You can switch among payment options at the time of purchase. The somewhat ancient POS system shows a bit of modern text. Once cards are added, the app requires creating a PIN for use. After creating a PIN, however, you can enable Touch ID and use that to unlock it instead. In the store, it wasn’t completely a breeze. I purchased a battery-powered dial clock we needed for our house for about $6 plus tax. 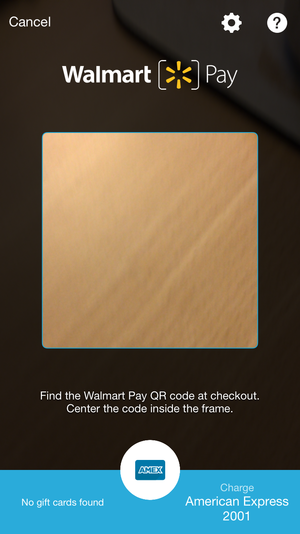 After the clerk had scanned it and brought up a total, a Walmart Pay message and a QR Code appeared to scan. However, it then disappeared and showed me a total. I had to ask if she could bring the code up again, and she was able to do so within a few seconds; the store wasn’t part of the earlier trial, so Walmart must have done some good advance training. 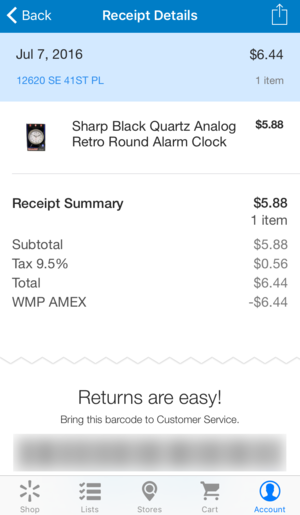 The e-receipt shows all the details, including a bar code (blurred here) for a sales associated to scan if you return the product. 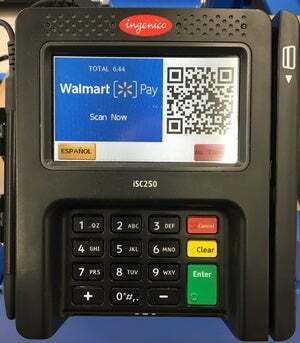 Then I was able to unlock Walmart Pay with my thumb, scan the code, and have the transaction go through. It took longer than most Apple Pay and swiped or dipped credit-card transactions, but still only a matter of perhaps 20 seconds. When the charge completed, an e-receipt appeared on my screen, and the cashier’s system told her payment had gone through. The e-receipt appears in the Account tab in the app along with any other linked purchases online. Tapping the receipt reveals its details, along with a conventional 1D bar code that can be scanned for a return. Apple Pay and Android Pay certainly remain more seamless, convenient, and universal. But many tens of millions of people shop regularly at Walmart, and a good subset of those customers don’t own a payment-capable smartphone or lack the trust in Apple or Google to secure their payment information—but might be fine with Walmart, because they already routinely swipe or dip a card at Walmart. The punchline to this perfectly fine payment experience is that I got the clock home, put a battery in it, and the hour hand doesn’t work. I’ll have to find an excuse to get back to the store, now that I know where it is, and use that electronic receipt for a refund or exchange.